When I think back to some of the most memorable students I have had over the years, I wonder how my descriptions of them placed limits on what I expected from them??? "Little Johnny never had help with his homework and he couldn't sit still for more than 3 minutes." "Little Mary takes care of her younger brother and sister every night while her parents work." "Crazy Karl??? That boy is out of control!" So often, teachers describe their students to each other like this. These descriptions are not meant as insults to the children. They are typically just used to describe the child's situation. It was true that little Johnny didn't get any help with his homework, even though he could have used a little bit of assistance most nights. It was true that Little Mary's parents worked nights so she was in charge of her siblings. And Karl? He was just a fun boy who was always more interested in playing and laughing than anything else! Today, it is my mission to see the unlimited potential in each child. Looking back, I wonder if I unconsciously changed what I expected from Johnny, Mary, and Karl because of the way I described them? As educators, how do we see beyond the hurdles that every child encounters, even when they may not be able to do? 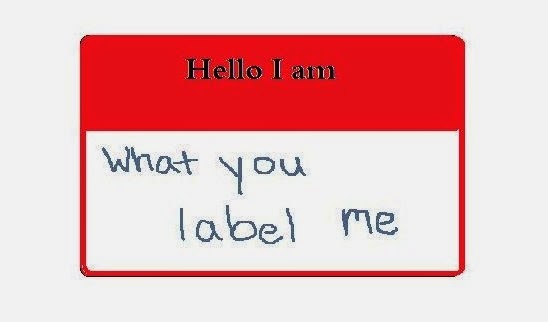 Isn't it our job as educators to help children shed those labels?